These days, hotel rooms come with a lot of amenities, but that doesn’t mean they’re perfect. There are still many ways that you can improve your comfort, safety and style while staying in a hotel, hostel or guest house. These hotel room hacks aren’t your typical booking and reservation money savers, these can save you time, space, money and headaches after you’ve checked in. Next time you’re planning a trip, whether you’re staying in a cheap hostel or a 5-star resort, consider these 10 hotel room hacks that can improve your stay greatly! You may not have this issue in a 5 star hotel (well if you do I hope you ask for your money back), but in cheap hotels and dorm rooms, there often seems to be a strange odour coming from the other travellers and their backpacks. To fix this issue, you should always travel with dryer fresh sheets! Just tape or clamp a sheet (or two depending on the potency of the odour) to the fan or air conditioning and say good-bye to that nasty, unshowered scent. 2. Steamed Veg Or Oatmeal Anyone? Did you know that the coffee machine in your hotel room can do more than just brew mediocre tasting hotel java? You can actually steam fresh vegetables, or make an oatmeal breakfast in the machine. Just place your desired veg or oatmeal into the carafe, pour your water into the coffee maker and start her up! Of course you’ve got your guidebook and you’ve got Trip Advisor, but there is no better way to find great restaurants than asking a local. Why not ask the receptionist at the hotel? They generally know the best places to eat that aren’t listed in the guidebooks or online. We do this all of the time (when we’re staying in a room fancy enough to have a TV). We travel with a VGA cord which can be hooked up to almost all LCDTV’s and even some older tube TV’s as well. 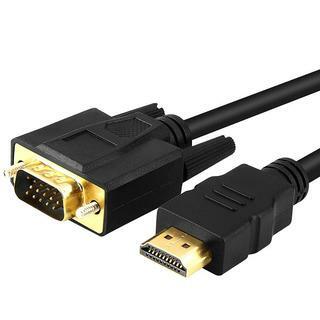 As times evolve, you may want to upgrade to an HDMI cord, but as of now, we find that the VGA gets the most use because it works with some old TV’s too. Just hook it up, change the input on the TV remote and voila! You can now watch your Netflix or pre-downloaded movies and TV shows right on the hotel room screen. Enjoy! Tired of that creepy guy in room 4B peeking into the opening in your hotel room curtains? 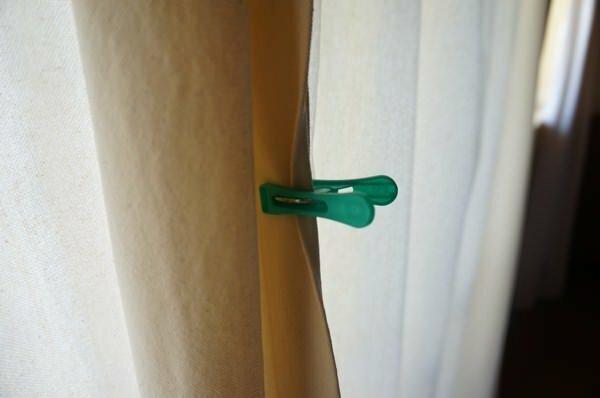 Just grab some clothes pins (or if you don’t travel with them, a hotel hanger with clamps), and pin those curtains shut. This is an age-old hack that works great, especially for hotels and guest houses located in cities with lots of access points. Just search Foursquare for businesses around where you’re staying and you’ll likely find a comment that someone posted with a wi-fi password. If you’ve checked into your room, but you’re not quite satisfied with how it looks (or smells), head back to the front desk and ask to see other rooms. Many hotels and hostels like to get rid of their least desirable rooms first to avoid giving them to more picky guests. You should be that picky guest! You may be surprised at how much better the room next to you is, especially when you find out that it’s the exact same price. Forgot to bring along that little USB wall charger that comes with your smart device? Fear not! You can use the USB outlet from any LCDTV to charge your devices. Go ahead, try it next time you’re in a jam. If you’re in a hotel room without a TV, you may not be completely out of luck either. Usually hotels have a TV in the common area or at the front desk so look around. Sometimes when you’re on the road, you just don’t quite have enough time to hand your laundry in for an overnight wash, or you don’t want to hang around the laundromat all day waiting for your clothing to spin-dry. At some point, pretty much every traveller has resorted to doing a quick load of laundry in the sink. It’s free, fast and easy. But once you begin the load, you quickly realize that you haven’t packed a sink plug, or the one that you did pack, doesn’t fit in the Brazilian sink that you’re trying to wash your laundry in. Well luckily, you can use the plastic and coin sink plug trick! Size out the sink drain and match it to one of the coins that you have in your wallet (usually the biggest coin in the country’s currency). Then rip a small patch from a plastic bag and place it over the drain hole. Then place the large coin in the center of the plastic and push it securely into the hole. 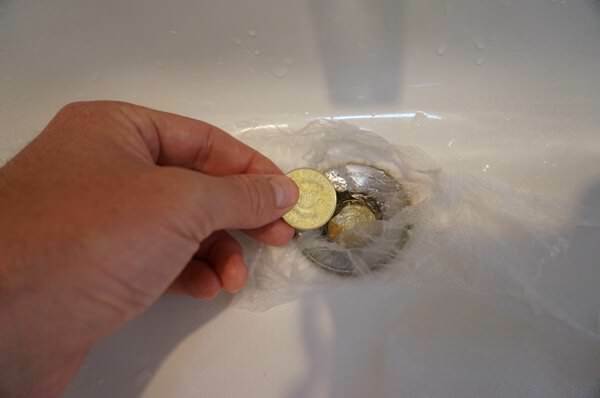 Fold the plastic over the coin, leaving a small tap for removal later, and place another coin on top to hold it all down. Voila! You have a sink plug wherever you are in the world! Nobody really knows how well the bathroom counter has been cleaned in their hotel room. Perhaps only a dry towel is wiped over it after each check-out, or maybe no cleaning has happened at all. 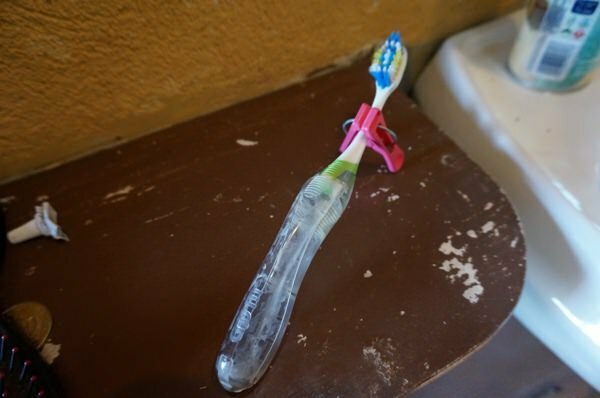 Instead of dreading the thought of what your toothbrush is lying in, prop it up with a clothes pin. If you haven’t figured it out yet, clothes pins can do a lot more than hang t-shirts! Hopefully you’ve learned something new from these simple and useful hotel room hacks that anyone can use anywhere. If you’d like to add a hotel room hack that you use on a regular basis, please share with us in the comments below. Happy travels! Booking a Hotel Using Priceline – Your Bidding Strategy Hotwire Hotels – Booking a Hotel with Hotwire Booking A Specific Hotel Dear Nora: Is Free Travel With Mystery Shopping Companies a Scam? Don't subscribe All Replies to my comments Notify me of followup comments via e-mail. 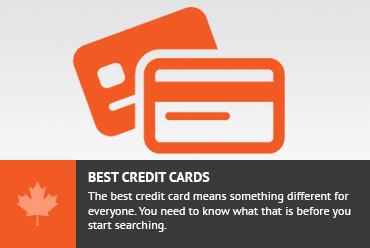 You can also <a href='https://www.creditwalk.ca/comment-subscriptions/?srp=4075&srk=2648578ecea05c83754707575dc5a494&sra=s&srsrc=f'>subscribe</a> without commenting.